Bed Rest is Not a Vacation! Being on bed rest is probably one of the most stressful times of a pregnant woman’s life. It’s a prescription that is given when something is typically not going right in the pregnancy, yet your friends can’t stop talking about how amazing this “little vacation” is going to be. Ugh! What your friends don’t realize is how incredibly worried you are that one big sneeze might make your water to break or that not waking up to go pee in the middle of the night could cause serious contractions. These are just a few of the thousands of anxiety-ridden thoughts that haunt you while you lay in bed day in and day out. It’s really a difficult position to be in because a high amount of stress is one of the worst things for your unborn baby, yet there is no option to exercise to help bring on those happy endorphins. When you feel stressed out, your body goes into “fight or flight” mode. What do you think happens to your baby when they get those stress hormones? In most cases, if you are on bed rest, then you are already experiencing preterm labor symptoms where your baby is trying to escape the womb way too soon. The last thing you want is for your baby to choose “flight” because they start feeling your stress. The good news is that as the mom, you are in complete control of your thoughts and feelings and have the power to change them if necessary. That is, of course, easier said than done. Getting your thoughts and feelings out of your own head is a great start. Sometimes the best medicine is talking to others that have been on bed rest before or that are currently on bed rest. Talking to friends or family that can’t really relate to what you are going through may not be the best option for releasing these feelings of fear. Bed rest is such a unique experience and when you meet other moms who wear that badge of honor, it really makes the difference and the sense of connection is more profound. Visualization plays a huge role in being able to eliminate those stressful thoughts and feelings. Close your eyes and imagine what your life is going to be like once your baby is finally home with you. Play out detailed scenes in your mind where you are spending time with your healthy and happy baby. You have to truly believe that this visualization will be what your future looks like in order to prevent you from thinking about the worst-case scenario instead. Keep yourself busy! Sometimes distraction may be the only way to force you into not Googling your scary medical conditions all day long. Create a daily to-do list where you literally map out every minute of your day and fill your time with everything you will never have time for once the baby arrives. Binge-watch every show and movie in your Netflix queue, read all the books you have ever wanted to read, learn a new skill like knitting or even study a new language. The possibilities are endless so get creative and get busy. The only downtime should be sleeping because you won’t be getting too much of that soon. The ultimate goal is to shift your energy so that all negative thoughts are replaced with positive ones. It is incredibly important to eliminate the stress of coping with a high-risk pregnancy and to start focusing on the huge blessing that is growing inside of you. Bed rest can be extremely hard to go through but the “fight” is worth every minute spent in bed keeping that baby safe and sound. 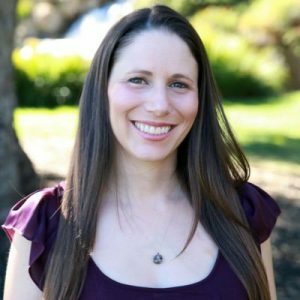 Jessica Fisher is a Certified Professional Coach specializing in supporting women on bed rest due to pregnancy complications. She spent 122 days on hospital bed rest while pregnant with her twins and successfully delivered them at full term. For more information, visit her website: www.bedrestlifecoach.com.